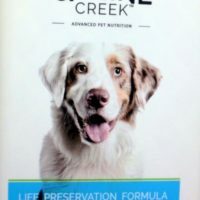 This super-premium dry food from Abis extports( manufacturer of drools and CANINE CREEK) is targeted towards the premium segment of dog owners. Be advised, this food has what it takes to be competing with grain-free foreign brands. 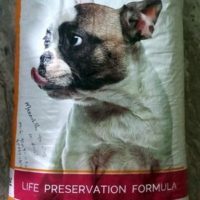 Among all indian brands of dog food, this is the no1 food that has entered into mass-products and is exported as well. 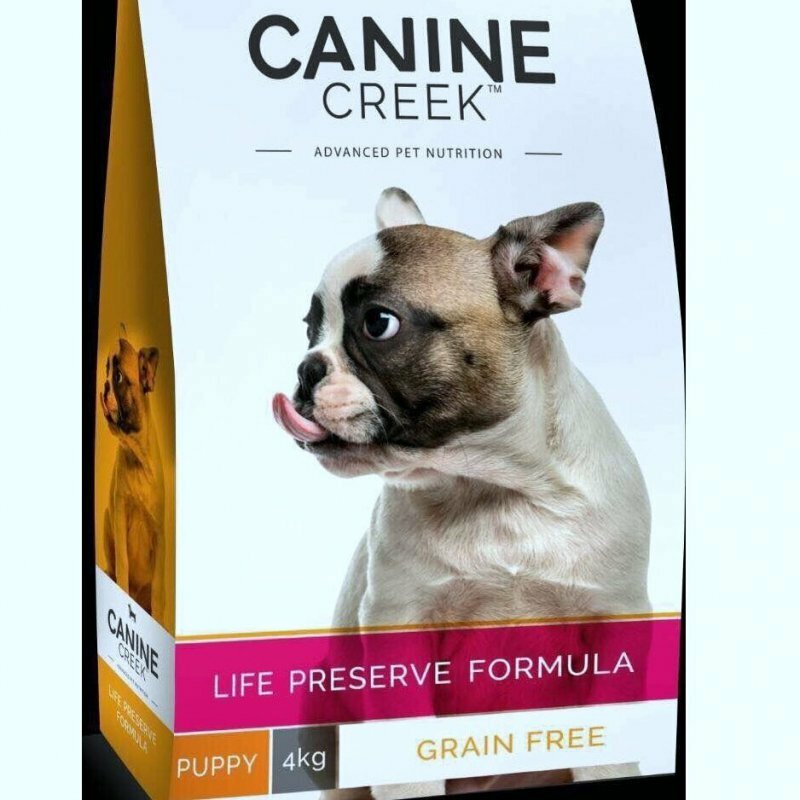 With the blend of high quality ingredients, this food is suitable for puppies of all breed and age between 3-15 months. 1)Exclusive kibble designed for puppy jaws and promotes chewing. 2) 0% grains( rice, wheat) of any kind. 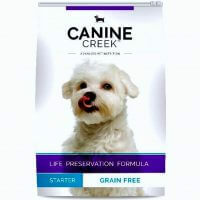 Suitable for allergenic dogs as well. 3)Enriched with high quality omega fatty acids, amino acida and anti-oxidants. 4)Strengthens immunity and promotes ideal growth. 5)Apart from meat, it is also enriched with the goodness of pomegranate, blueberry and cranberry. Ingredients: Chicken (48%), dried egg product, potatoes, oatmeal, flaxseed (source of omega 3), fish oil (source of dha,epa), chicken oil, ocean fish meal (source of omega 3 fatty acids & protein), krill oil, salmon oil, beta carotene, taurine, sweet potatoes, carrots, garlic, yucca schidigera extracts. Quantity: Avaialble in 400g,1.2kg, 4kg, 9kg, 13.5kg packets.